Dry rot is a state in which fungus damages wood fibers. You’ll know you have dry rot when the wood begins to look like bricks or blocks as seen in the image here. This is caused by excessive moisture. 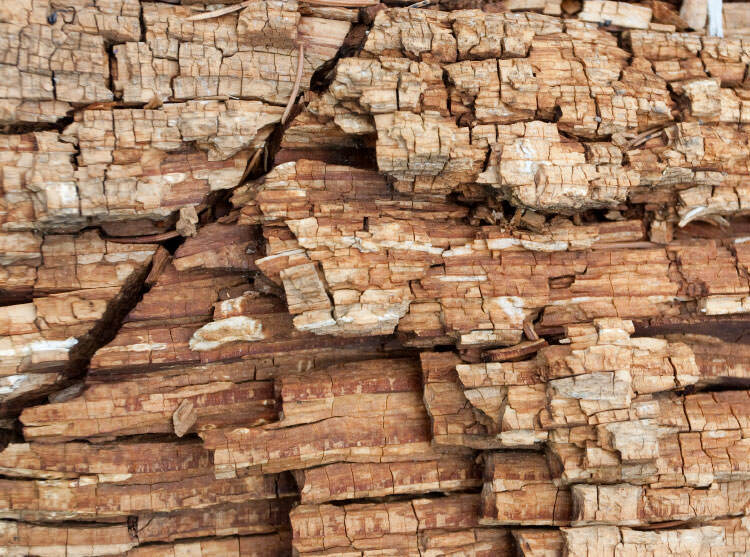 In some cases, termite damage exposes wood to the elements and allows water to enter, fungus then develops. The fungus feeds on the moisture and eats up the solid wood as well. Dry rot eats up the strongest part of the wood damaging its core, causing it to become dry and brittle. The longer you wait to treat the termites and replace the wood, the worse the damage will get and eventually disintegrate. The best way to prevent dry rot is to reduce or completely eliminate excess moisture. Check for leaks, avoid wood contact with soil and treat for termites. Boric acid may also be used to inhibit the fungus from continuing to grow. This is very informative, great short read!